Website for therapy now made simple using this Physiotherapy Free Website Template Download. Website template is a very clean and simple for therapy clinic with a bootstrap grid layout on the home page and plenty of white space and showcase your therapy service, physiotherapist, your patient’s review, attractive call to action etc..
Templates comes with a handful of creative design and extra inner pages to customize your site the way you want. 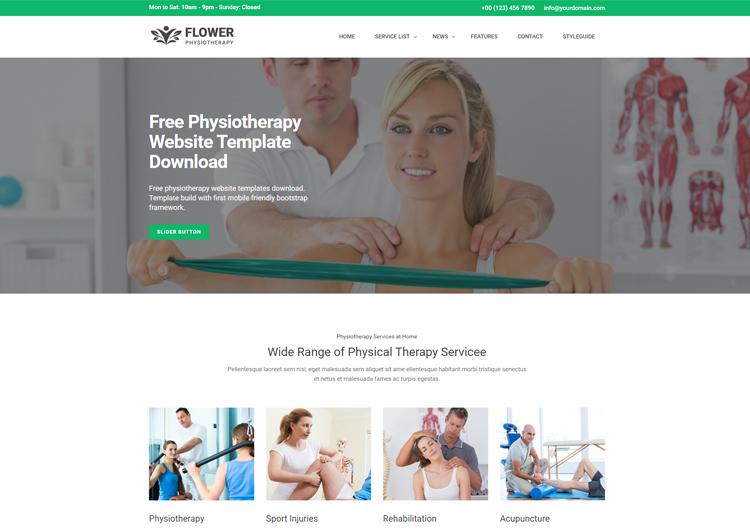 Template designed for therapy clinic, physiotherapy centre, sports therapy, physical therapy, physiotherapist doctors, women physiotherapists, therapist, behavioral therapy, mindfulness-based cognitive therapy, psychodynamic therapy.